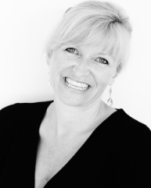 Emma Wheat is an Executive Coach with EDA Asia Pacific and based in Kuala Lumpur, Malaysia. Emma is also a Coaches Training Institute (CTI) Faculty Member and Trainer, Certified Professional Certified Coach, Author and Workshop Facilitator. She facilitates the personal development, learning and well being of individual executives and their teams. Her insight and understanding of various cultures stems from over 16 years living in the Middle East, facilitating leadership and coach training courses throughout Europe, the Middle East and Asia, including China and Singapore. She is now based in Shanghai, China. Her work creates greater collaboration and motivation to improve leadership, strengthening organizational culture over time. Using a variety of tools and assessments, Emma works with both teams and individuals in the corporate world to coach and develop personal leadership styles, identifying strengths that will result in outstanding performance. She helps clients to manage change, enhance performance, discover solutions and create their own sustainability. Emma is a Faulty member for the Coaches Training Institute (CTI) the world’s premier coach training institute, and has trained thousands of students across Europe, the Middle East, and Asia.